The much anticipated Asus Zenfone 2 is making its debut in India on April 13, 2015. The Taiwanese hardware manufacturer Asus has already released the plans to launch it in Canada this spring via Staples and amazon.com, now its heading towards India. Also Asus has ties with AT&T with which it has released its padfone 2, so Asus Zenfone 2 will be released in US with or without contract. 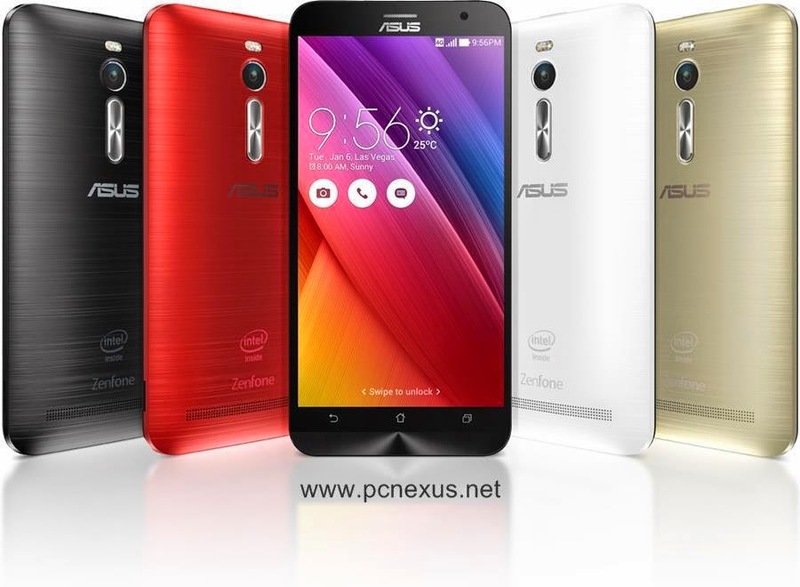 Meanwhile we should be aware that Asus Zenfone 2 will be released in 5 different models. These models are given below. ZE551ML : This version of Asus Zenfone 2 is the top smartphone among this series and comes in three variants under the same model name ZE551ML. The difference is only between RAM and CPU. One variant has 2 GB RAM and Quad Core Intel Atom Z3560 @ 1.8 GHz CPU and other two has 4 GB RAM out of which one variant has 1.8 GHz Z3560 CPU and the rest of the specifications are same. It has Intel atom Z3580 quad core cpu clocked at 2.3 GHz. It also has 13 MP rear camera and 5 MP front camera. Inbuilt storage is 16/32/64 GB and can be further upgraded to 64 GB via micro Sdcard. The battery capacity is 3000 mAh. The screen size is 5.5 inch with 1920x1080 full hd resolution at 403 ppi. It runs on android 5.0 lollipop out of the box. The ZE551ML is 4G enabled and supports dual SIM. The ZX550 Asus Zenfone Zoom has exactly the same specs as of ZE551ML but has a better camera with 3X optical zoom and better image stabilization and optical sensors. All models are NFC enabled. ZX550 : The ZX550 Asus Zenfone Zoom has exactly the same specs as of ZE551ML but has a better camera with 3X optical zoom and better image stabilization and optical sensors. ZE550ML : This model has Intel Atom Quad Core CPU clocked at 1.6 GHz, with PowerVR G6430 GPU. It has 5.5 inch multi touchscreen but the resolution is not full HD but is only 1280x720 pixels with 267 ppi. The ZE550ML has 2 GB RAM, a 13 MP primary camera and a 5 MP selfie camera. The inbuilt storage is 16 GB and is expandable upto 64 GB. The battery is 3000 mAh. It runs on android 5.0 lollipop and is 4G enabled. It has dual micro SIM. ZE500CL : The ZE500CL is the least and cheapest performer in Zenfone 2 series. This is the only model to have a Dual Core Intel Atom Z2560 @ 1.6 GHz, other models being the quad cores. It has 2 GB onboard RAM, 16 GB inbuilt storage, 8 MP rear and 2 MP front camera. The battery is only 2500 mAh. The Asus Zenfone 2 ZE500CL is the single SIM variant with 4G LTE radio. The screen size is 5 inches HD with 294 ppi. 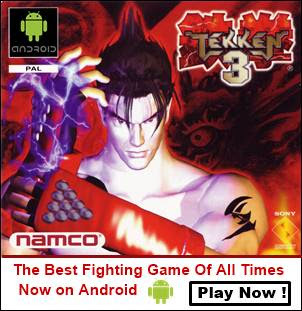 It runs on android 5.0 lollipop. As you can see there are a total of 6 variants in Asus Zenfone 2 series with the ZE500CL being the cheapest and having the lowest specs. The model number ZE551ML has two variants with same spects except the difference in RAM (2/4 GB). So, its up to you whether you go for the 2 GB or 4 GB model because the rest of the specs are same. These two variants will have slight price difference. It also has notification light next to the selfie camera. It is NFC compatible. Verdict : I will go for this cell phone because of 4 GB RAM, Quad core CPU and most of all a Full HD 5.5 screen with 403 ppi. I will mostly use it for gaming and typing work. The Asus ZenUI over android 5.0 lollipop is very simple to use. You can buy the 4 GB model and use it for around 2 years without hassles. This is the best smartphone in this series. Buying this phone comes under good phone deals. The Asus Zenfone Zoom ZX550 is also having the same specs as that of ZE551ML and there is only difference in camera. With ASUS Zenfone 2 ZX550 you can click awesome pictures with 3X optical zoom and few other optical sensors. This Zenfone 2 version is another mid performer with 64 bit quad core 1.8 GHz intel atom CPU and 2 GB RAM. The GPU is PowerVR G6430 which is same in high end zenfone models. Its internal storage is 16 GB. The screen size is 5.5 inches 720p with 267 ppi. The rear camera is 13 MP and front camera is 5 MP. The battery is 3000 mAh. Verdict : The ZE550ML model is different than other high end zenfone smartphone in terms of CPU, Data Rate and screen only. Well its a good choice if you are low on budget. But there won’t be much diference in price of ZE551ML and ZE550ML. So if you can expend some extra money then go for the Full HD model ZE551ML. Otherwise if your budget doesn’t allow you to cross then you can buy it. This is the cheapest model of Zenfone 2 series with a 1.6 GHz dual core intel CPU. It has PowerVR SGX544MP2 GPU and 2 GB RAM. The screen size is only 5 inches, 720p with 294 ppi, yet better than the ZE550ML. The rear camera is 8 MP and selfie camera is 2 MP. The battery is non-removable, 2500 mAh. It doesn't have NFC. Verdict : Only buy if you are very low on budget and looking for cheap phones that runs on android 5.0 lollipop and 2 GB RAM. Well this cell phone will be good for gaming at cheap price due to the the PowerVR SGX544MP2 because I have used PowerVR SGX540 in Samsung Galaxy Tab 2 and it played most graphics hungry games like NFS Most Wanted, Asphalt Airborne, Real Racing 3, Modern Combat 5 etc. Storage : All Zenfone 2 series smartphones has atleast 16 GB inbuilt storage which can be further upgraded to 64 GB via micro Sdcards. Out of 16 GB around 11 GB will be user available. So in 11 GB we can install lots of apps and games that require large storage. RAM : All Zenfone 2 models has atleast 2 GB RAM. CPU : All Zenphone 2 phones has 64 bit Intel processors. Camera : The camera resolution is same in ZE551ML, ZE550ML and ZE550X except the ZE500CL. Network : All Asus Zenfone 2 models are 4G LTE enabled, with minor differences in data rate. The ZE551ML, ZE550ML and ZE550X have dual SIM but ZE500CL do not. Android version : All Zenfone 2 cell phones run on android 5.0 lollipop with ZenUI. Screen Size 5.5 inch, 1920x1080 pixels (Full HD), 403 ppi 5.5 inches, 1280x720 pixels (HD), 267 ppi 5.0 inches, 1280x720 pixels (HD), 294 ppi. This is the complete buying guide for Asus Zenfone 2 top smartphones. After reading this guide you will be able to choose your Zenfone 2 according to your needs which best suits your requirements.